ORD - frequencies increased from 5 weekly to daily flights using an A 332. SIN - frequencies increased from 4 to 5 times a week using a B 773ER 4 times + A 332 once a week. BKK - frequencies reduced from 10 weekly to daily flights using a B 773ER twice a week + A 332 five times a week. JNB/CPT - frequencies increased from 3 to 4 weekly flights using an A 343. AMM - frequencies increased from daily to 11 times a week. KWI - frequencies increased from 4 weekly to daily effective July using a B 738. ADD - capacity increased from 4 weekly B 738s to 4 weekly A 310s. ASB - frequencies increased from 10 to 11 times a week. CDG - frequencies increased from 24 times a week to four times daily. FCO - frequencies increased from 10 times a week to double daily. ATH - frequencies increased from double daily to 16 times a week. GYD - frequencies increased from double daily to triple daily. TXL - frequencies increased from double daily to 17 times a week. BRU - frequencies increased from 17 times a week to triple daily. CPH - frequencies increased from 10 times a week to double daily. DUS - frequencies increased from triple daily to 4 times daily. GVA - frequencies increased from 9 weekly to double daily. Philippine Airlines has revealed on the GDS that it will be increasing flights to YVR-Vancouver, Canada from March 23rd onwards with the addition of 2 weekly terminator flights to be flown along side its current 5 weekly ones which are extended onwards to Las Vegas. PAL will be using an A 343 for the additional 2 flights and will thus bring their MNL-YVR service to daily A 343 operations as a result of this move. With regards to LAX and SFO in summer 09, the former is being reduced from 11 to 9 times a week where as the latter is also being reduced from 8 weekly to daily flights. 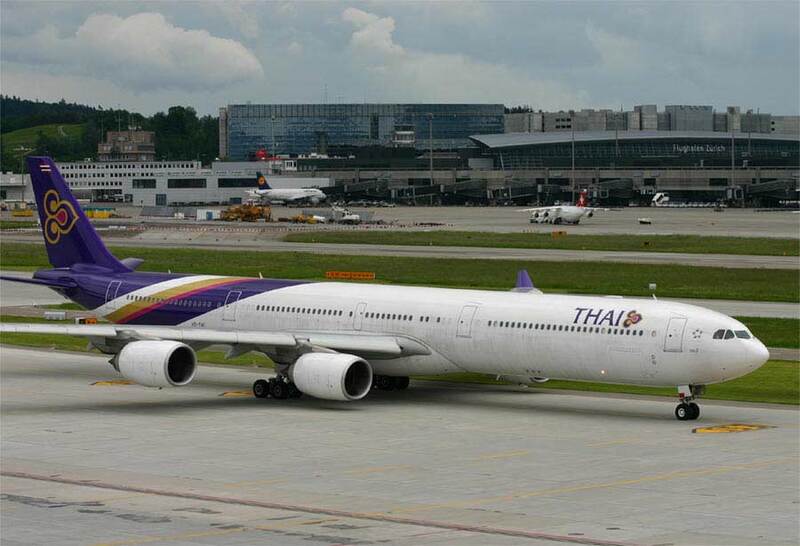 Thai Airways has disclosed that since it is unable to find any suitable buyers for its fleet of 4 Airbus A 340-500s that were put up for sale over 3 months ago, it will be returning these aircraft back to service LAX-Los Angeles nonstop. The route is currently flying BKK-KIX-LAX using a B 772ER, however from March 29th onwards, it will be flown 4 times a week nonstop using an A 345. TG too confirmed that it will be reducing weekly flights flown to Shanghai (PVG) and Beijing (PEK) for the IATA summer season by flying 11 times a week to PVG instead of double daily (4 weekly A 333 + daily B 744) and 10 times a week to PEK instead of double daily. TAM of Brazil has officially announced that it will be increasing capacity on its flagship Sao Paulo-London Heathrow route effective immediately by flying a daily Boeing 777-300ER. It used to fly 4 times a week with a B 773ER and 3 times a week with an A 332. CDG - frequencies compared to SU 08 reduced from 10 weekly to daily nonstop flights using a B 773ER. DPS - capacity reduced from a daily B 744 to a daily B 763ER. BKK - frequencies reduced from triple daily to double daily. 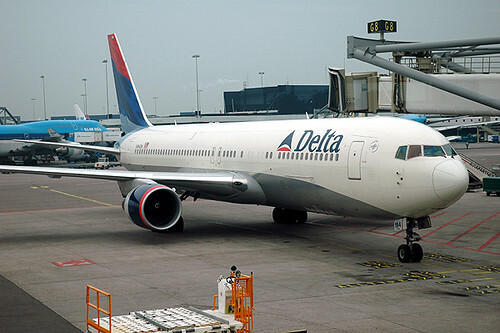 Delta Airlines has confirmed that it will be reducing its Atlanta-Mumbai nonstop flights from the current daily frequency to 5 times a week effective March 29th. DL will continue to operate this route using a Boeing 777-200LR and is likely to maintain this reduced frequency on a permanent basis rather than to rivert back to daily flights from the on set of the IATA Winter 09-10 timetable. DL too has announced a number of significant capacity changes for current Northwest Airlines and its own operated flights across their long haul network that it will come into effect from June 1st. The most significant ones are the capacity reduction to Mumbai, India from NW's AMS hub as well as the launch of new daily flights via NRT-Tokyo to SGN-Ho Chi Minh City in Vietnam. Flights to SGN will be flown from NRT nonstop on a daily basis using a B 757-200. AMS/BOM - capacity reduced from daily A 332 to daily B 763ER. DTW/LHR - capacity reduced from daily A 333 to daily B 763ER. JFK/ATH - capacity increased from daily B 763ER to daily A 333. MSP/CDG - capacity reduced from daily A 333 to daily B 763ER. EWR/AMS - capacity reduced to daily B 763ER from daily A 333. JFK/VCE - capacity increased from daily B 763ER to daily A 333. ATL/AMS - capacity increased from daily B 764ER to daily A 333. ATL/LGW - capacity increased from daily B 763ER to daily A 333. ATL/MUC - capacity increased from daily B 763ER to daily B 764ER. BLR - frequencies to be reduced from daily to 5 weekly between Feb and March only. BOM - for Winter 09-10 season, capacity has been reduced to daily B 744s + 3 weekly A 343s rather than daily B 744s + 3 weekly A 333s. DPS - frequencies increased from daily to 11 times a week using a B 772A 4 times a week + daily A 333. JKT - frequencies increased from double daily to 17 times per week. Air France has confirmed that it will be suspending its daily flights to PHL-Philadelphia from October this year and instead the route will be taken over by its partner i.e. Delta Airlines. DL will be using a B 757-200 for this sector where as AF currently use a mixture of A 332s and A 343s on the PHL route. AF too revealed that it will be reducing capacity to ICN-Seoul effective immediately till end March from a daily B 773ER to 5 weekly B 772ERs + 2 weekly B 773ERs. It also has officially confirmed that it will be increasing frequencies on its Hong Kong route from June 16th 09. Currently, CDG-HKG nonstop flights are flown 12 times a week, however these will be increased to double daily from mid June onwards using a B 773ER daily + B 772ER daily. With regards to JNB bound flights, for the peak summer season i.e. June-Sept, they will reduced from double daily to 13 weekly flights using a B 773ER daily + 6 weekly B 772ERs. Etihad Airways has officially confirmed that it will be launching new 3 weekly flights to ATH-Athens, Greece from June flown nonstop from its AUH hub. EY will be using an A 320 twice a week for this route and an A 319 once a week. It will be depending heavily on getting traffic to Australia, Bangkok and Pakistan on this sector. From October onwards, EY is expected to increase ATH frequencies to 5 times a week. With regards to the AUH-SIN-BNE route that is currently flown 3 times a week using a B 773ER, from March 29th onwards, EY will be reducing capacity on this route to a 3 weekly A 332. EY too announced that it will be reducing capacity to CGK-Jakarta from January 27th onwards by replacing the current B 773ER operated nonstop flights with a 2 class Airbus A 330-200 till early March. No official reason has been given for this move, but one feels that the airline has found a more higher yielding route for this dedicated B 773ER to be used on. EY too has initiated an excellent code sharing arrangement with PG-Bangkok Airways on the latter's flights to USM (Koh Samui) and HKT (Phuket) from next week which will definitely help them attract European/UK/JFK/Arab/African passengers bound to these 2 cities away from EK/QR/KU/GF/BA/AF/KL. BOM - frequencies reduced from double daily to 12 weekly flights. 2 of the daily "day light" flight frequencies have been suspended for 2 months. DEL - frequencies reduced from double daily to 13 weekly flights. 1 of the daily "day light" flight frequencies have been suspended for 2 months. SQ will also be upgrading its in-flight product on the SIN-DXB-DME (Moscow) routing by replacing the 3 weekly Boeing 777-300A operated flight with the newer Boeing 777-300ER version which will have the new first and business class seats. This change will take place effective May 1st. 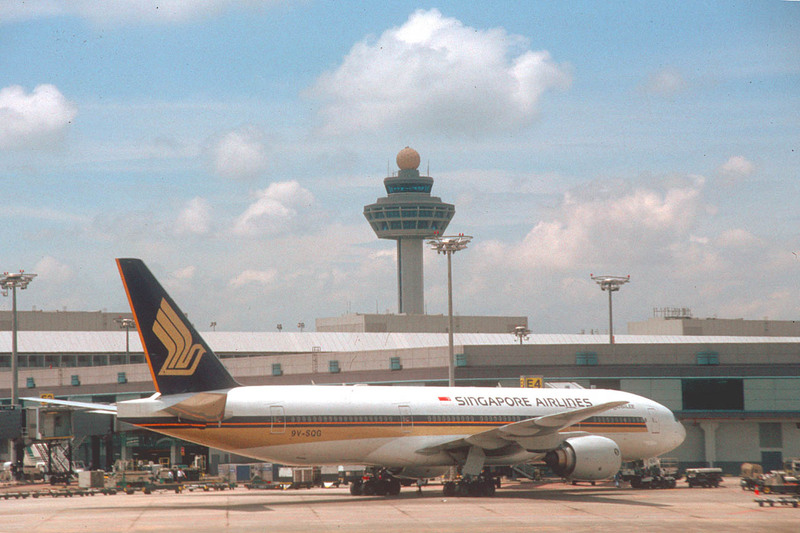 SQ also revealed that the governments of Singapore and Czech Republic have signed an open skies deal thus paving the way of potential opportunities to be seriously looked at in the long term future. Lufthansa will be increasing frequencies on the Munich-JFK sector from May onwards with a second daily flight operated by an all business class configured Boeing 737-700 that is wet leased from Private Air. This flight will be flown along side the daily schedule nonstop MUC-JFK flight which sees an A 333 being used. IAD - daily nonstop flights using a B 763ER. DEL - daily nonstop flights using a B 763ER. PEK - daily nonstop flights using a B 763ER. NRT - 6 weekly nonstop flights using a B 772ER. JFK - daily nonstop flights using a B 772ER. BKK - daily nonstop flights using a B 772ER. China Airlines of Taiwan has mentioned on the GDS system that it will be reducing frequencies to Delhi, India from February onwards. Currently, it flies 5 times a week nonstop TPE-DEL using a 2 class A 330-300 but effective Februrary, that will change to a 3 weekly flight using a smaller A 340-300 which seats 37 less passengers than its A 333. PEK - flights via BKK to be suspended and instead 3 weekly nonstop flights will be launched using a 2 class A 330-200. CAN - frequencies increased to 4 weekly flights using a B 772ER all flown via BKK. Mahan Air of Iran has revealed that it will be increasing frequencies to Dubai from its Tehran (IKA) hub from double daily to triple daily effective Feb 8th. All 3 daily flights will be flown using a 2 class Airbus A 310-300. It also revealed that it will be lauching 2 new weekly nonstop flights to DPS-Bali, Indonesia from Tehran using a Boeing 747-400 from Februrary as well which will be increased to 3 times a week from June. These flights are timed to cater for onward connections to Dubai and Germany in particular. LOS - capacity increased to 4 weekly B 744s from 2 weekly A 346s + 2 weekly B 744s. 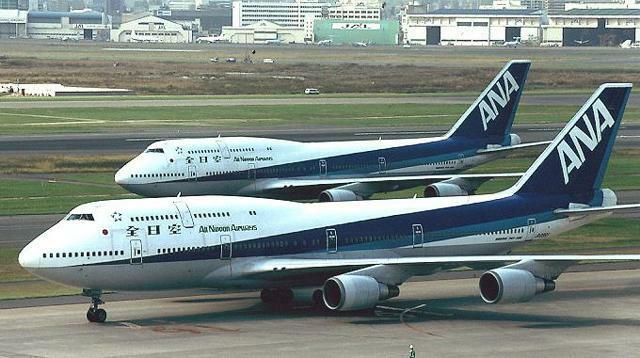 LAD - capacity increased from 5 weekly A 346s to 5 weekly B 744s. Pakistan International Airlines (PIA) will be increasing capacity on its Karachi-Dubai route effective immediately by flying a daily Boeing 777-200ER (departing KHI daily at 11pm) on the sector alongside 8 weekly B 737-300s. Previously it was daily A 310s with 8 weekly B 737s. ANA of Japan has officially confirmed that it will be reducing its all business class flights to BOM-Mumbai from February onwards that are flown from Tokyo Narita. Currently, they are flown 6 times a week using a B 737-700 (BBJ), but from next month, it will be reduced to 3 times a week flying on WED/FRI/SUN only.